Every program and show are unique, as are their target audiences. 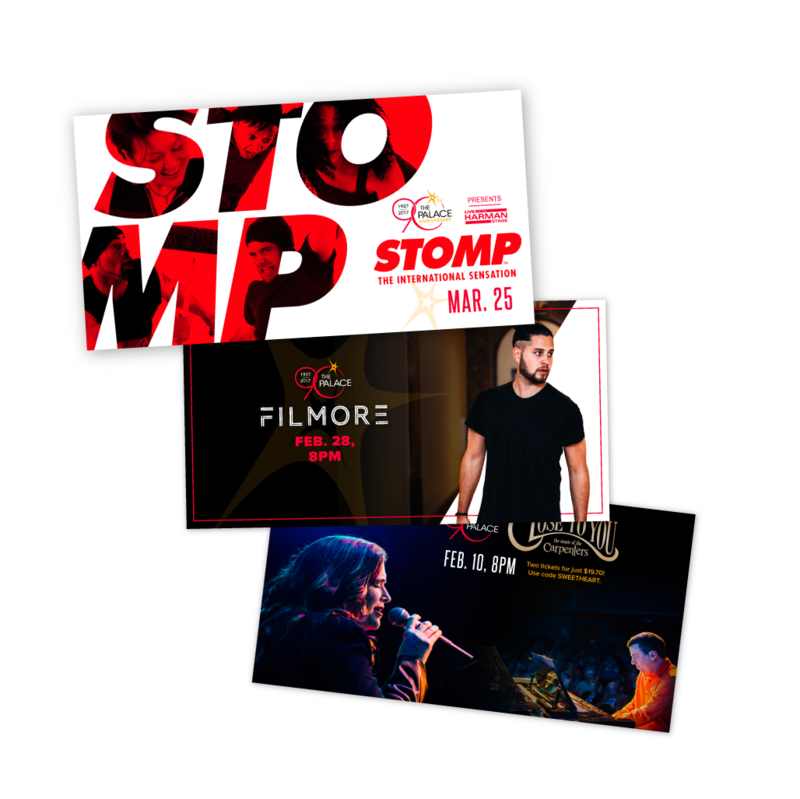 By developing specific marketing plans for each show, we were able to ensure the appropriate mix of strategies and tactics were employed to drive ticket sales. Developed targeted email marketing campaigns to past buyers of specific show genres (i.e., comedy, children’s programs, theatricals, etc.) to help drive repeat purchases. Launched a series of promotional offers surrounding timely events to help drive ticket sales. Leveraged marketing to drive ticket sales, which resulted in 10 sold out shows during 2017, a 100 percent increase over 2016. 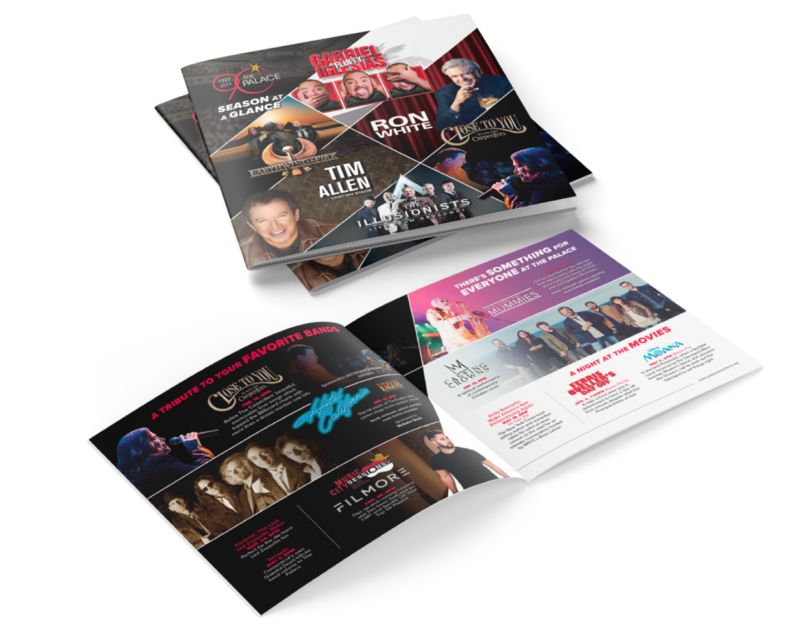 Deployed an integrated 12-month marketing campaign to drive an 11-percent increase in theatre attendance during 2017. Revamped existing Google AdWords campaigns and deployed targeted remarketing campaigns to cement paid search as a key driver of website traffic, accounting for 20 percent of total website traffic (28,000 sessions) in just 6-months. Revamped The Palace’s Facebook content strategy and deployed targeted Facebook Ad campaigns, establishing Facebook as the leading source of social website traffic, accounting for nearly 77 percent of all social media referral traffic to the website. 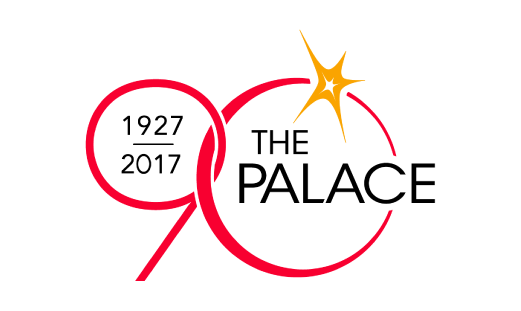 In less than two weeks, our Facebook campaigns for STOMP alone drove 742 website visits and garnered more than 4,000 video views. 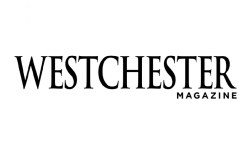 Targeted media pitching, including offering talent for in-studio performances and interviews, has generated a steady stream of media coverage each month, including features from News 12 Connecticut, WEBE, The FOX, Westchester Magazine, and HEARST Publications (Stamford Advocate, Greenwich Time, Connecticut Post), among other media.